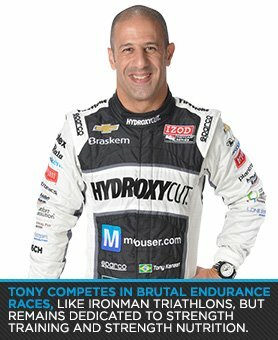 Years of intense training and strict nutrition helped Tony Kanaan finally drink the milk at Indy. Here's how this top racer trains to outlast the competition. 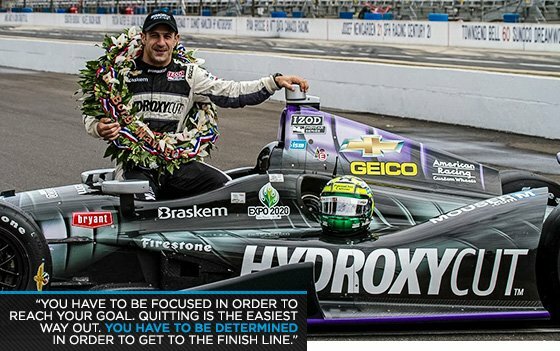 There's never been any doubt that Tony Kanaan is in it for the long haul. The Brazilian-born racer was the first driver in open-wheel racing to complete every lap of a season, lasting through 16 races and three victories in his championship 2004 IndyCar campaign. Through more than 15 years of American professional racing, he's established himself as a tireless, perennial threat to win any event. But until last month, one race—the race—had eluded him: the Indianapolis 500. In 11 previous attempts, Kanaan had seen victory snatched from his grasp in seemingly every possible manner. There were plenty of opportunities for something to go wrong this year as well. The race featured a record 68 lead changes before Kanaan slipped into first place with three laps remaining, moments before a crash caused the race to be completed under caution. Still one of the hardest-training drivers in the sport at age 38, Kanaan knows that his dedication to fitness gave him the longevity to finally drink the famous milk at The Brickyard. He competes in brutal endurance competitions such as Ironman triathlons, but also maintains a dedication to strength training—and strength nutrition—so he can access that extra gear when his competitors are running on fumes. Fresh off of his momentous victory, Kanaan gave Bodybuilding.com a glimpse into his world-class training and nutrition program. He says he's in the best shape of his life, so don't expect him to rest on his laurels just because he's stood in Victory Lane. 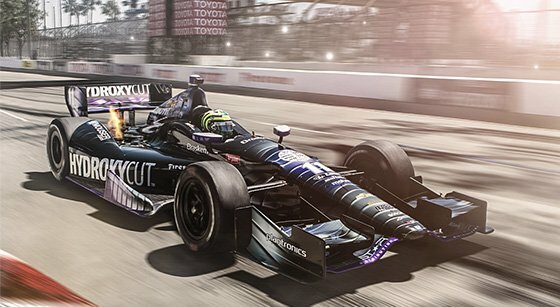 What unique types of strength does IndyCar racing demand? How have you gotten better at building and accessing that strength over your career? I do a lot of cardio to keep myself in shape, and I also work specifically on my neck and shoulders because of the intensity while in the race car. I was always a small and skinny guy coming up the ranks of motorsports, so I figured out that to beat the next guy I also needed to be in better shape than him. How do you structure your training leading up to a major race like the Indy 500? I work with the guys from St. Vincent Sports Performance in Indianapolis and also with a trainer when I'm home in Miami. Because of our race schedule it is very important that I follow what my trainers tell me to do. It's very easy to wake up in the morning and say to myself that I'm tired and that I won't go to the gym. Then I remember that I have to be in top shape for a three-hour race or a doubleheader weekend. That gets me out of bed pretty quickly. How did your passion for Ironman and triathlon training come about? I started to do triathlons because I was already swimming, biking, and running as part of my training schedule. My trainer at the time told me I should try putting it all together and do an Ironman. And I did it. My first shot at triathlon was a 70.3 [mile] Ironman. What benefits does that style of training and competition give you, either physically or psychologically? Both. It's great for the physical side and it's even better for the mental side. When you are by yourself for a 112-mile bike and a 26-mile run, you have to be focused in order to reach your goal. Quitting is the easiest way out. You have to be determined in order to get to the finish line. How is driving a course for 500 miles like completing an Ironman? The 500-mile race is more mental, and the Ironman is more physical. Having done the Ironman definitely helped me in the car. How are the two similar or different in their nutritional demands? You have to keep yourself hydrated on both. Obviously in the car we can't eat during the race like you do during a triathlon, but it's a matter of preparing your body for the challenges in the car or what you are going to face during a triathlon. We know about Indy's milk tradition. But what about whey—how does supplementation help a race car driver? I do take it as my regular workout regimen for strength, but not for driving. How do you approach the challenge of peri-workout nutrition during a race? Is it just a matter of staying hydrated, or do you supplement in any way there? I do prep myself, eat well and fuel before getting in the car. During the race it is just a matter of hydration. You've also done CrossFit in the past. What does that add to the project of training for racing? CrossFit is a very good workout for strength and core. I still do it when I'm at home in Miami. Do you have any fitness or competitive goals that you're saving for after your auto racing career is done? No. I'm 38, and I take care of my body so I can be in top shape, not only for my job, but for myself. You've been doing this for a while now. How has your philosophy of physical training changed over your adult life? I just keep pushing the envelope a little bit further. I'm in a better shape now then when I was 20, 25, and 30 years old. Note: Core work is performed at this time.